WB No. 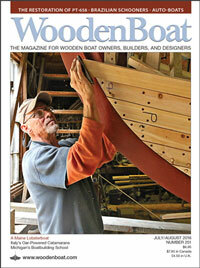 245: The Muskoka motoryacht RAMBLER’s ingenious lifting cradle that’s built into the boathouse; the cradle rises, via a ratcheting mechanism, on a series of threaded vertical posts. 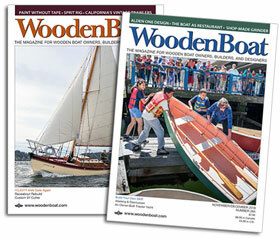 See more in WoodenBoat issue 245.